According to the “Not to Harass and Imprison the Baha’i Compatriots Campaign,” reports quoted from HARANA reveal that Sadaf Vojdani has been barred from continuing her studies due to her religious beliefs. 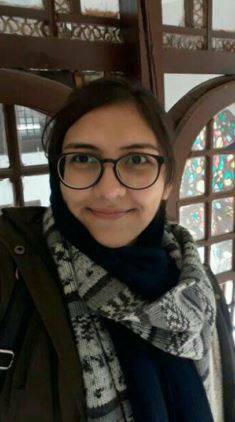 Ms. Vojdani, a Baha’i student and 2017 freshman in the field of Architecture at the Razi University of Kermanshah, has been denied education due to her adherence to the Baha’i Faith. 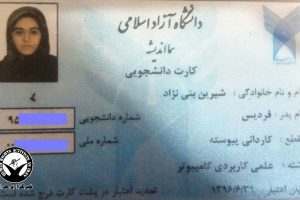 Ms. Vojdani was informed of the expulsion, and denial of access to further higher education, prior to the start of final exams. According to Article 30 of the Constitution of the Islamic Republic, all Iranian citizens have the right to higher education. Also, according to Article 23 of the Constitution of the Islamic Republic of Iran, “the investigation of individuals’ beliefs is forbidden, and no one may be molested or taken to task simply for holding a certain belief.” Despite the explicit right of the law, the Islamic Republic’s Supreme Council of the Cultural Revolution policy is that Bahá’ís, in addition to being deprived of employment in government offices, are also denied university education. 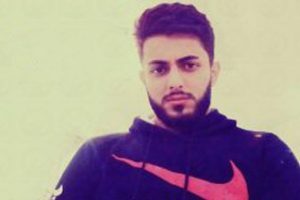 Every year there are continuing reports of Baha’i citizens being expelled from or denied entry to Iranian universities. Even those on the verge of graduation have been subjected to expulsion from their universities. Since the Islamic Revolution of 1979, Baha’i citizens in Iran have been denied the freedoms associated with religious beliefs. 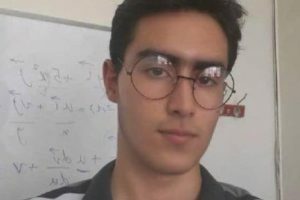 UN human rights reporters on Iranian affairs have repeatedly challenged the Regime’s persecution of Baha’is, especially deprivation of Baha’i students of their right to education. Reports have made it a clear that this indicates Iran’s failure to respect human rights treaties. Article 18 of the Universal Declaration of Human Rights and Article 18 of the International Covenant on Civil and Political Rights, everyone has the right to freedom of religion and change of religion, as well as the freedom to express it individually or collectively, and openly or in secret. According to unofficial sources in Iran, there are more than three hundred thousand Baha’is. The Iranian constitution recognizes only Islam, Christianity, Judaism and Zoroastrianism. The Regime does not recognize the Baha’i Faith and has used this as justification for the systematic violation Baha’is’ rights in Iran.